Earlier this week, the Trump administration announced the United States-Mexico-Canada Agreement (USMCA), the trade deal it intends to replace NAFTA with. 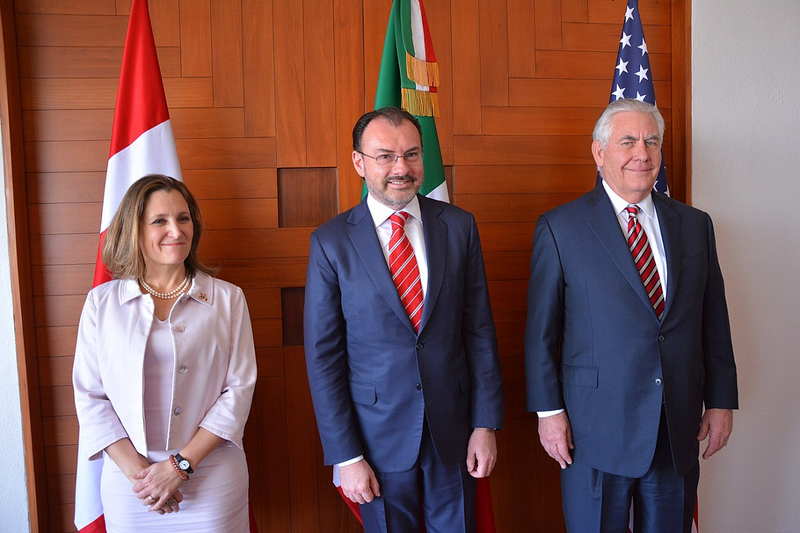 The parties—Canada, Mexico, and the United States—still have to adopt the deal, and if they do, they will enjoy several welcome provisions that can give a boost to data-driven innovation in all three countries. First, USMCA is the first trade agreement in the world to promote the publication of open government data. Article 19.18 of the agreement officially recognizes that “facilitating public access to and use of government information fosters economic and social development, competitiveness, and innovation.” Though the deal does not require parties to publish open government data, to the extent they choose to publish this data, it directs them to adhere to best practices for open data, including ensuring it is in open, machine-readable formats. Additionally, the deal directs parties to try to cooperate and identify ways they can expand access to and the use of government data, particularly for the purposes of creating economic opportunity for small and medium-sized businesses. While this is a welcome provision, the United States still needs legislation to ensure that publishing open data becomes an official responsibility of federal government agencies. Second, Article 19.11 of USMCA prevents parties from restricting “the cross-border transfer of information, including personal information, by electronic means if this activity is for the conduct of the business of a covered person.” Additionally, Article 19.12 prevents parties from requiring people or firms “to use or locate computing facilities in that Party’s territory as a condition for conducting business in that territory.” In effect, these provisions prevent parties from enacting protectionist data localization requirements that inhibit the flow of data across borders. This is important because many countries have disingenuously argued for data localization requirements on the grounds that it protects their citizens from privacy or security harms, despite the location of data having no bearing on either privacy or security, to prop up their domestic data-driven industries. Finally, USMCA provides much needed protections for source code. Article 19.16 prevents parties from requiring “the transfer of, or access to, source code of software owned by a person of another Party, or to an algorithm expressed in that source code, as a condition for the import, distribution, sale or use of that software, or of products containing that software, in its territory.” This is important for data innovation because it reduces the risk of parties imposing mandates for algorithmic transparency on AI systems developed in other countries thereby exposing them to considerable intellectual property risks. It is easy to imagine how some countries could use algorithmic transparency requirements to force foreign firms to reveal intellectual property that would aid domestic firms. While the agreement would still allow parties to enact algorithmic transparency mandates for all firms, both foreign and domestic, this provision prohibits them using algorithmic transparency as a protectionist measure. By promoting open data, protecting cross-border data flows, and dissuading parties from enacting algorithmic transparency requirements, the USMCA will foster data-driven innovation. As the U.S. considers trade deals with the United Kingdom and other countries, it should pursue similar rules to promote data-driven innovation domestically and abroad. Image: U.S. Department of State.